Even though I haven’t had professional photos taken yet on this gem, I couldn’t wait to showcase one of my favorite closets that I’ve designed to date. 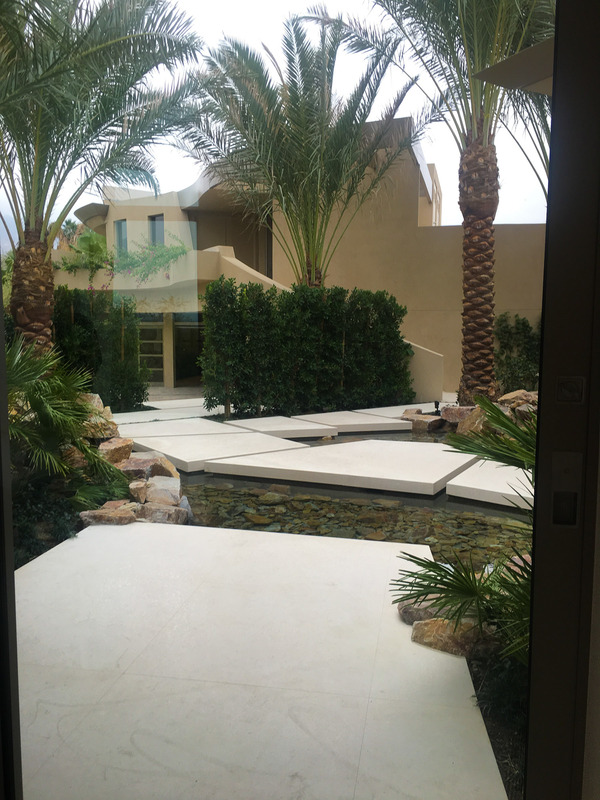 What made this Palm Desert/Big Horn project different from others is that this one was not limited to budget, client restrictions or a clothing inventory. 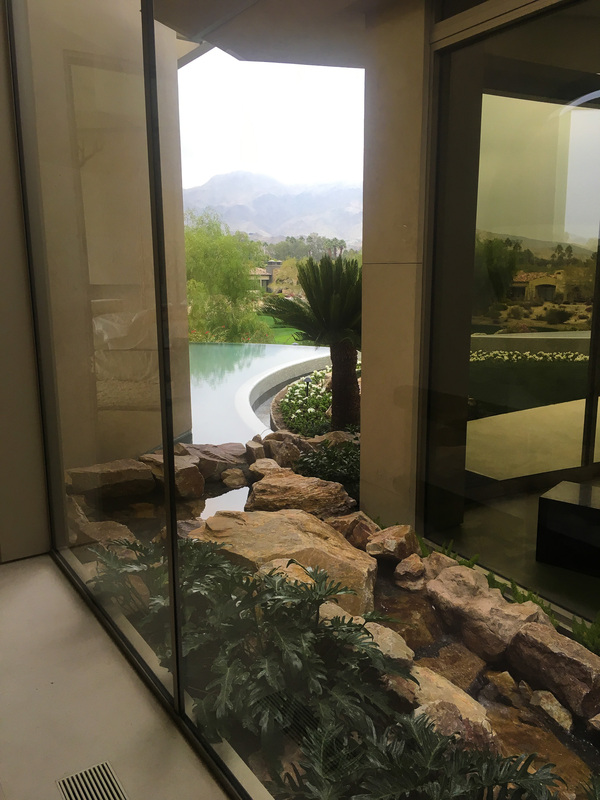 My amazing clients allowed me full design control….. probably every designer’s dream. To start, let me begin with architect, Guy Dreier’s vision for the house. Intertwining all the elements – he seamlessly blends water, earth, and sky in a very unique way. Starting with this canvas was an inspiration in its own. The closet had to be on par with how cutting edge his design was and how comfortable he made it feel at the same time. In addition to the architect, I had to pay homage to the clients’ amazing style and their stunning wardrobe. This is where I was inspired to create closets for them worthy of Barneys. 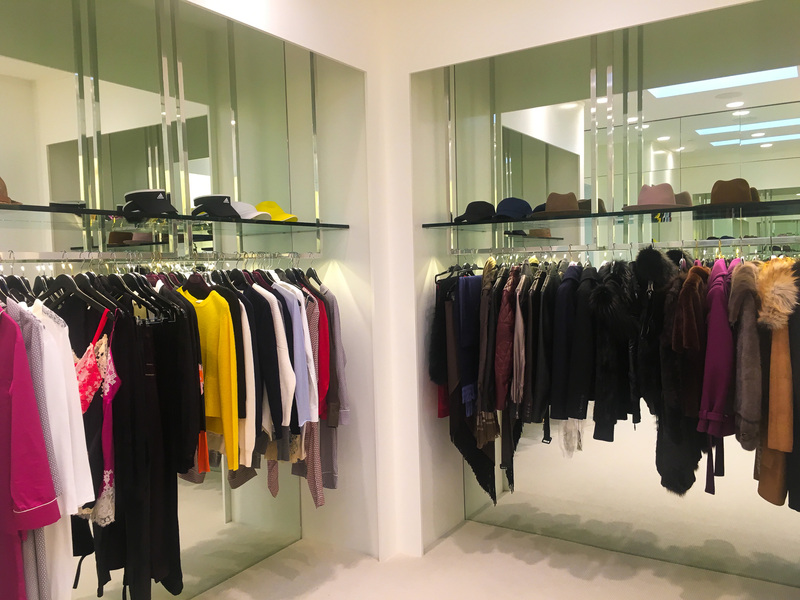 How could I replicate their love of clothing and recreate the amazing Barneys shopping experience? Nothing could be cookie cutter. I needed to think outside the standard closet parameters and think more “displays” and “showcasing”. 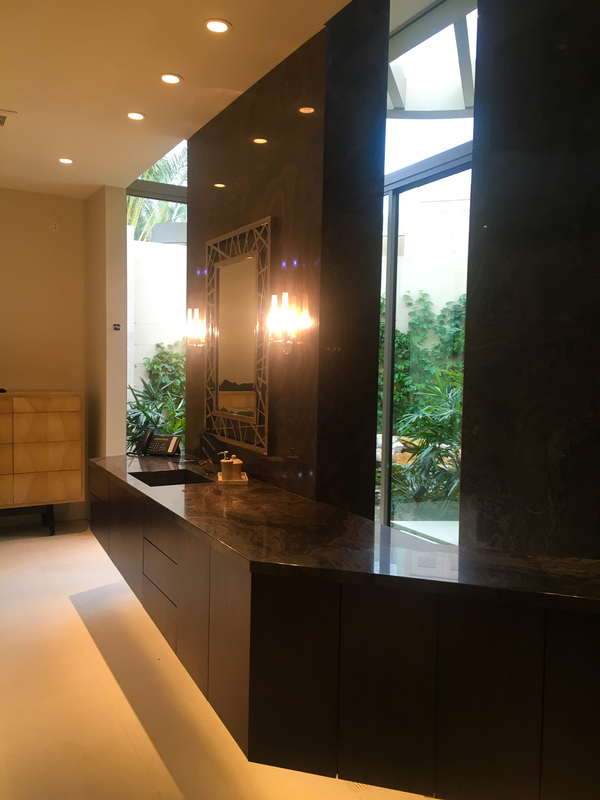 The elements that immediately came to mind were lights, mirrors and glass. 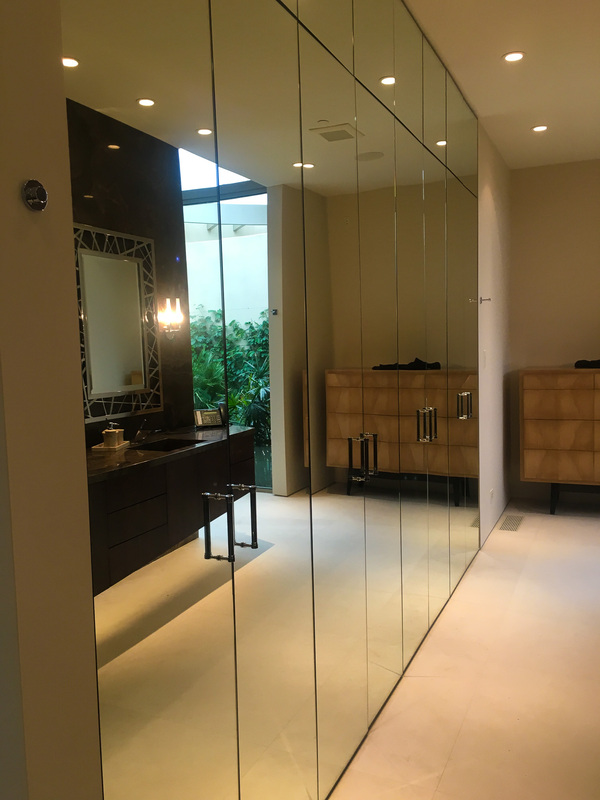 After only a few minor changes from the clients, the final design included custom hanging rods with integrated lights, framed out display sections, back panel mirrors, mirror doors, glass showcase display cases, lights, lights and more lights. 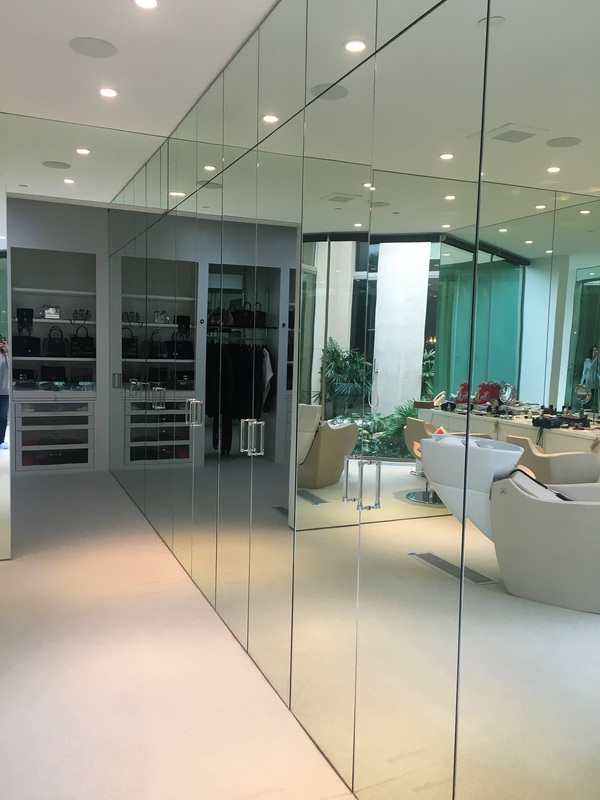 My clients can’t get enough of their closet. They love to show it off to their friends at every opportunity.